These Comet's Non-Skid Bootie Socks are an easy, affordable way to give your dog a bit of traction on slippery, hard surfaces. These non-skid socks from PetRageous a comfortable, easy way to protect your dog's paws and offer traction for slippery, hard surfaces like hardwood floors or tile. 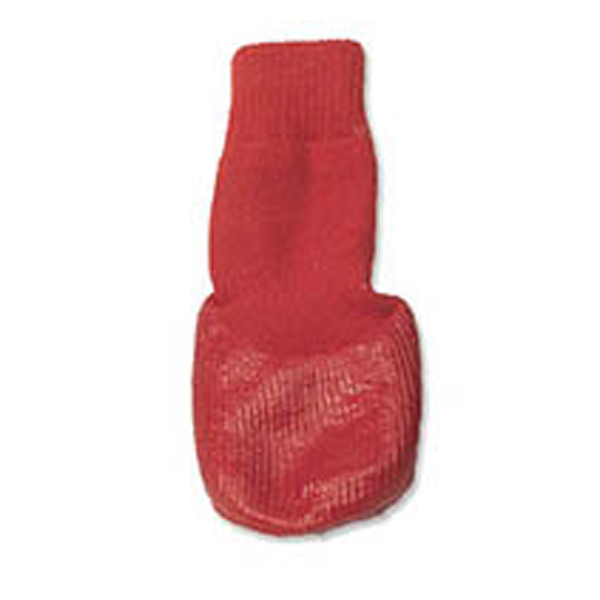 They are a high-quality knit sock in a classic red color, complete with a waterproof rubber-coated sole to offer protection against the elements and cold temperatures. Hand wash cold, lay flat to dry. Check them out in brown/green or black as well! Small fits paws 1/2" to 1 1/2"
Medium fits paws 1 1/2" to 2 1/2"